Provide comfort for the family of Frances Smith with a meaningful gesture of sympathy. Frances Rhea Smith was born on May 28, 1928 in Fitzgerald, Georgia and later moved to Fort Myers, Florida; then to Springfield, Ohio. 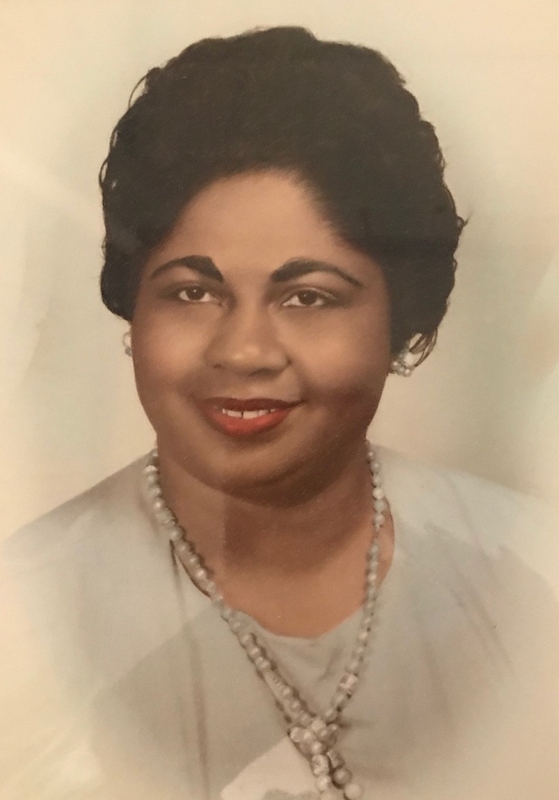 She confessed Christ early in life and was the financial secretary at Zion Hill Baptist Church for many years under the leadership of Pastor Michael Young. Frances was a cook and retired from Wittenberg University in Springfield, Ohio. Frances departed this life on Saturday, March 2, 2019. She was preceded in death by her parents, Van Jenkins and Maggie (Bond) Jenkins and siblings. Frances will be greatly missed by her nephew, Willie Jenkins (Gussie) of Jacksonville, Florida; great nephew, Earl Yancey (Pamela) of Springfield, Ohio; niece, Barbara Gerald; great nieces, Tammy Jones (Reginald) of Jacksonville, Florida and Tina Sanders of Swainsboro, Georgia; great great-nieces, Anita Melton (George) and Shiquita Parker (Errick); goddaughter, Kathryn Sanders of Cincinnati, Ohio; devoted friends, Odessa Clayborn, Clara Mona Russell, Carol Thompson and John Bland; and a host of other relatives and friends. To send flowers to the family of Frances Rhea Smith, please visit our Heartfelt Sympathies Store. Provide comfort for the family of Frances Rhea Smith by sending flowers. We know that Ms. Frances' death has brought you much sadness, but just for a moment envision her future. Imagine her in Paradise! Each morning, she awakes feeling rested and eager to began her day. She has no aches or pains. Any infirmities she once had are gone. All her senses--sight, hearing, smell, touch, and taste--function perfectly. Her energy is abundant, her work is enjoyable, her friends are many, and all her worries are gone! Such will be the blessings she can enjoy under God's Kingdom. (Matthew 6:9-10) Cherish all memories shared with her!